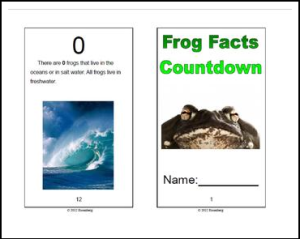 This is a 12 page booklet filled with facts for each number 0-10 about frogs. The booklet is available in both color as well as black and white. There is also a SMART Board version of the book.